Official: NLC and ASUU suspend 2016 Nationwide Strike, See why! Official: NLC and ASUU suspend 2016 Nationwide Strike. 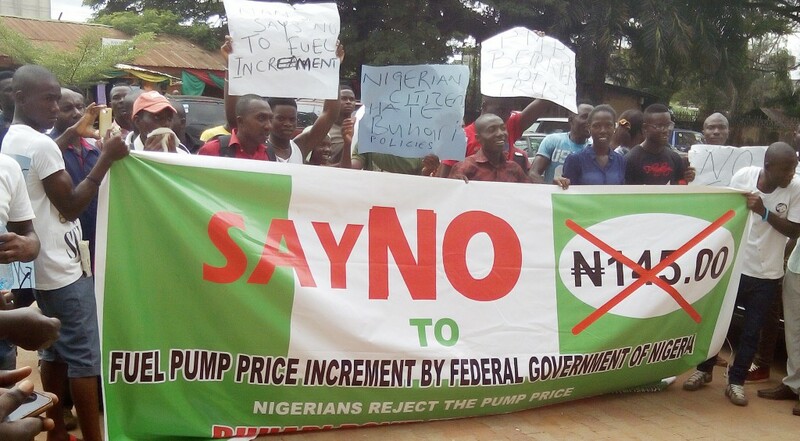 The Nigeria Labour Congress (NLC) and counterpart Academic staff union of universities have called off its ‘disjointed’ Strike started on Monday, 16th May, 2016 over the Hike in Fuel Price from N86 to N145 as the Federal Government removed fuel subsidy. The decision to suspend the strike was taken at an emergency meeting of the NLC’s National Executive Committee in Abuja on Sunday. The Council has also resolved to resume negotiation with the government on the issue of the increase in the electricity tariff in addition to the increase in fuel price henceforth. See communique after the cut . . .
Owing to the fact that the Academic staff Union of universities, ASUU joined the NLC strike, The Union has also called off its One-week old strike. Hence, All Nigerian University students can now go back to their various institutions to continue their study. An emergency meeting of the National Executive Council (NEC) of the Nigeria Labor Congress (NLC) held today, Sunday, May 22, 2016 at Bolton White Hotels, Abuja on the on-going protest action against the increase in pump price of petroleum products and hike in electricity tariff. NEC reviewed the protest action and its impact across the nation, noting the sacrifices of its members, response of the generality of Nigerians, government’s attitude and the brutality of the police in some states. NEC took special notice of the Ebonyi State Police Command where our members were intimidated, harassed, arrested and detained unjustly. Following deliberations on the state of affairs in the nation and following pleas by well – meaning stakeholders, we hereby inform you that the NLC strike is hereby suspended. We thank all affiliates and Local councils for their mobilizations, support and commitment to the struggle to emancipate the common man.